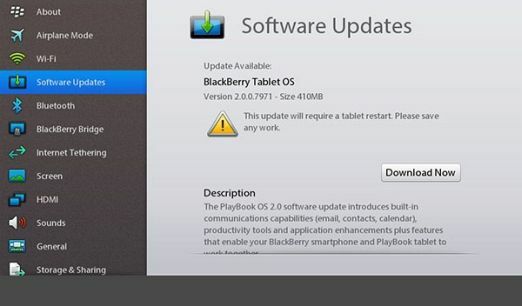 Does it make sense to buy a Blackberry Playbook now, with OS 2.0? 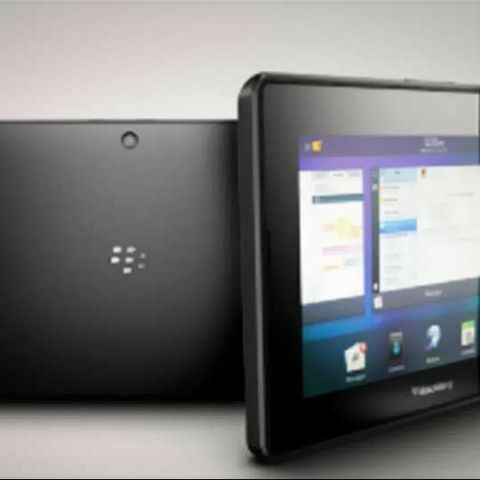 With the arrival of the new Playbook operating system, the question on everyone’s mind is - is the Blackberry Playbook now worth spending money on? Why this question has gained such importance is because of the recent price cuts (RIM labeled them as “limited duration promotional scheme”) in various markets around the world, including India. Interestingly, as of today, there seems to be some confusion on the pricing bit again, as the screen grabs below will illustrate. All three versions are “out of stock” on Flipkart. While some sellers on Junglee.com are selling at the special promotional prices that RIM had announced towards the end of 2011, other sellers seem to have shifted back to the pre-scheme prices. Interestingly, RIM’s own website now prices the 16GB version at Rs 27990, the 32GB version at Rs 32990 and the 64GB version at Rs 37990. Which makes the “should we buy” question quite pertinent. 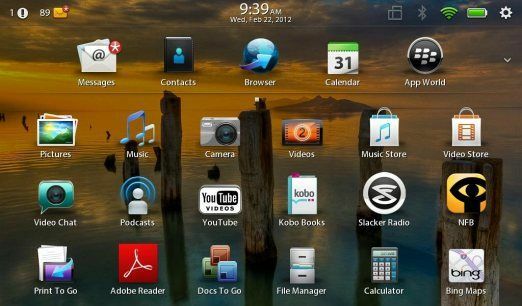 RIM is hoping that updated OS will spark a fresh wave of demand for the much-maligned tablet. Primarily because it now includes what was surprisingly omitted in the previous version - integrated email, calendar, contacts and a tight integration with social networks. Blackberry Bridge now gets more goodness as well, allowing your Blackberry smartphone to work as a remote for the Playbook. And yes, Playbook can run some Android apps. However, this does make the Playbook worth your cash? Without beating around the bush, the simple answer is NO, most definitely not at these prices. Even though the Playbook has adequate hardware and the OS looks neat, it still isn't close to the iOS or the Android in terms of the apps ecosystem. Agreed, Android apps are now on the Playbook platform, but the number isn't very large. It is a known fact that the app ecosystem for the Playbook is pretty small as it, and at the moment, Android apps haven’t really arrived either. There is potential for the future, but porting will be a challenge for most apps due to platform limitations. The integrated email client sounds exciting, and should have been on the Playbook in the first place. Dig a little deeper, and you realize that it is actually working with Exchange ActiveSync and not RIM’s own Blackberry Enterprise Server. Which makes it essentially the same as the one on any Android tablet, then? Still, there are positives about the Playbook that shouldn’t be overlooked. The UI is pretty slick, and RIM hasn’t tinkered much with it - just minor tweaks make it look even better. Social networking integration is quite neat as well, linking to the contacts and messages apps seamlessly. Multitasking is probably the best we have seen across the entire tablet ecosystem. The capable hardware allows for heavy games and media files to do what they are supposed to do, without issues. The slim form factor ensures that typing on this is a comfortable experience, and so is carrying it around. Fits well in most jacket pockets, and would be registered in the bantamweight category! We don’t think these are enough to invest in a Playbook, not when the prices seem to be going back to the pre- December 2011 tags. Android apps can still be categorized as a potential, but unless it is tapped (if at all it is tapped fully), we wont really know for sure. 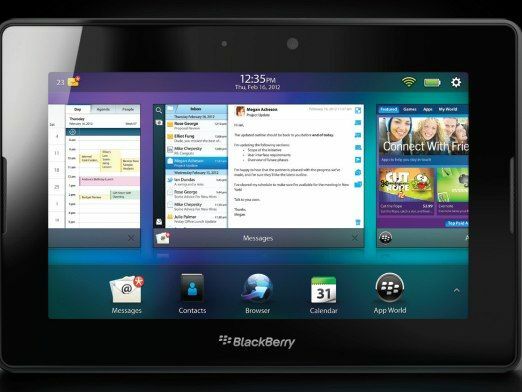 The mail client on the Blackberry Playbook isn't on the same platform as the one as on your Blackberry smartphone. That probably says a lot in itself.